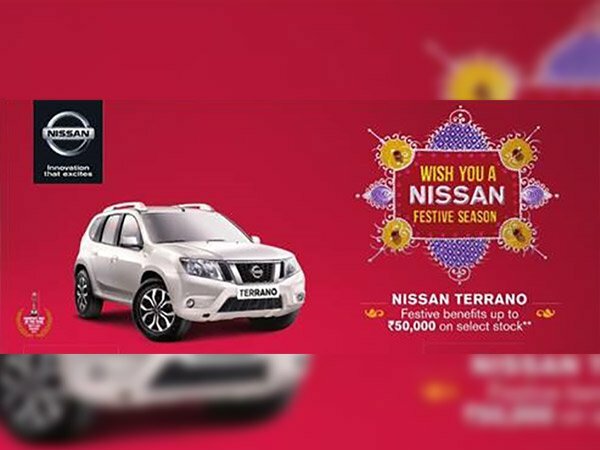 With the arrival of festive season Nissan India the Indian alliance of Japanese car maker Nissan has announced to organize the “Biggest Diwali Carnival” from October 7, 2017 to October 10, 2017 to attract the customers towards Nissan products. During this carnival the customers will be offered different types of alluring offers in form of free insurance, exchange bonus, and low interest rate for the financing the vehicle. This carnival will be organized for the owners of both Nissan and Dastun cars, the subsidiary of Nissan Motors. All the dealers of Nissan and Datsun cars across the country will organize this carnival. During the carnival the buyers of Nissan Terrano will be offered the benefits up to Rs. 50,000 covering the free insurance, exchange bonus and a corporate offer. Whereas the buyers of Nissan Sunny will be offered the benefits up to Rs. 30,000 and the buyers of Nissan Micra MC and Micra Active. Talking about the benefits offered by Datsun India the subsidiary of Japanese car maker the company is offering the benefits up to Rs. 15,000 on all its products including Go, Go+, redi-Go (800cc) and redi-Go 1.0 litre (1000 cc). The benefits will include free insurance, exchange bonus and the corporate offer. It would be interested to know that offering lucrative offers to the customers during the festive season is one of common practices adopted by car manufacturers to enhance their sales. So now what are you waiting for if you are also planning to buy a new car for your family during this Diwali then it is the best time to grab the situation.